Spoon Of Healthy Organic Honey On Black Background. Honey Dripping From Wooden Dipper Close-up. Foto Royalty Free, Gravuras, Imagens E Banco De Fotografias. Image 114171145. Banco de Imagens - Spoon of healthy organic honey on black background. Honey dripping from wooden dipper close-up. Spoon of healthy organic honey on black background. 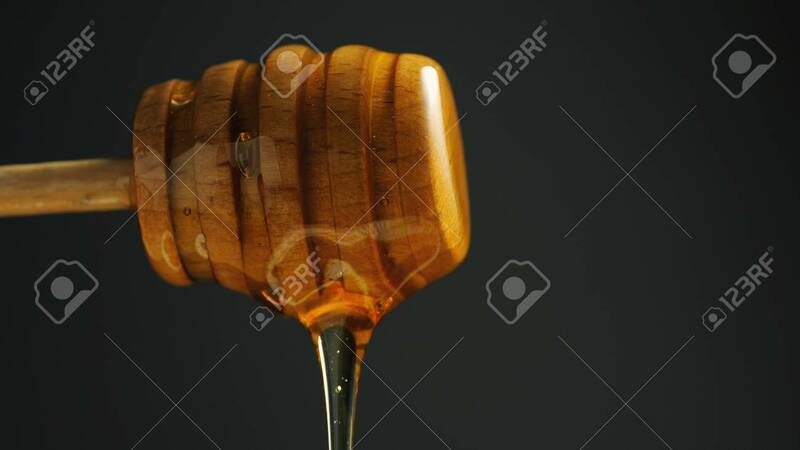 Honey dripping from wooden dipper close-up.